The Minister of State (Independent Charge) for Power, Coal and New and Renewable Energy, Shri Piyush Goyal with the Chief Minister of Chhattisgarh, Dr. Raman Singh inaugurating the new building of IIIT, in Naya Raipur on June 23, 2015. 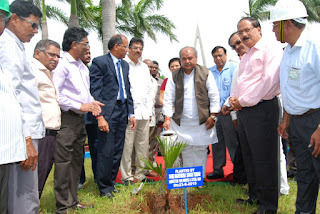 The Union Minister for Mines and Steel, Shri Narendra Singh Tomar planting a sapling at the Dedication Park, during his visit to the Rashtriya Ispat Nigam Limited (RINL), at Visakhapatnam on June 23, 2015. 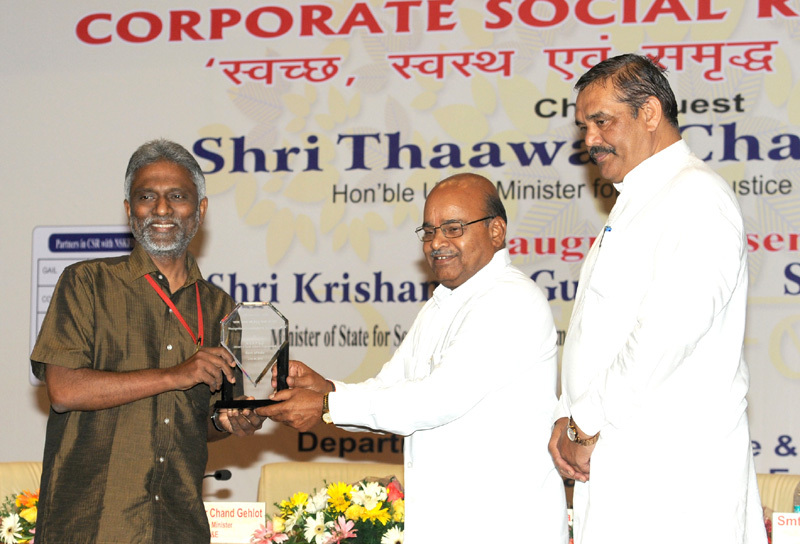 Dr. K. Haribabu, MP, Visakhapatnam, the Joint Secretary, Ministry of Steel, Smt. Urvilla Khati, the CMD, RINL, Shri P. Madhusudan and the Directors of RINL are also seen. The Minister of State (Independent Charge) for Power, Coal and New and Renewable Energy, Shri Piyush Goyal with the Chief Minister of Chhattisgarh, Dr. Raman Singh unveiled the plaque to inaugurate the new building of IIIT, in Naya Raipur on June 23, 2015. The Union Minister for Water Resources, River Development and Ganga Rejuvenation, Sushri Uma Bharti launching the Bhuvan Ganga Mobile App, for use of Geospatial Technology in Clean Ganga Mission, in New Delhi on June 23, 2015. 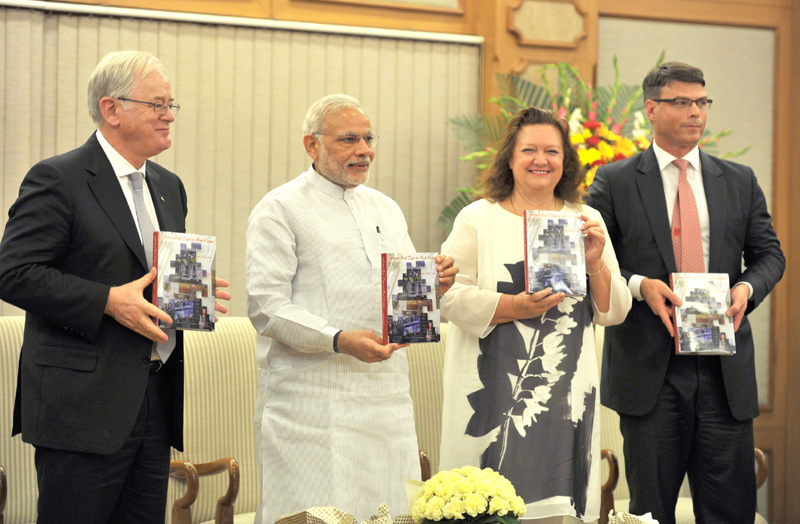 The Prime Minister, Shri Narendra Modi releasing the book "Red Tape to Red Carpet... and then some", written by Mrs. Gina Rinehart, the Chairperson of the Australian mining company Hancock Prospecting Group, in New Delhi on June 23, 2015. 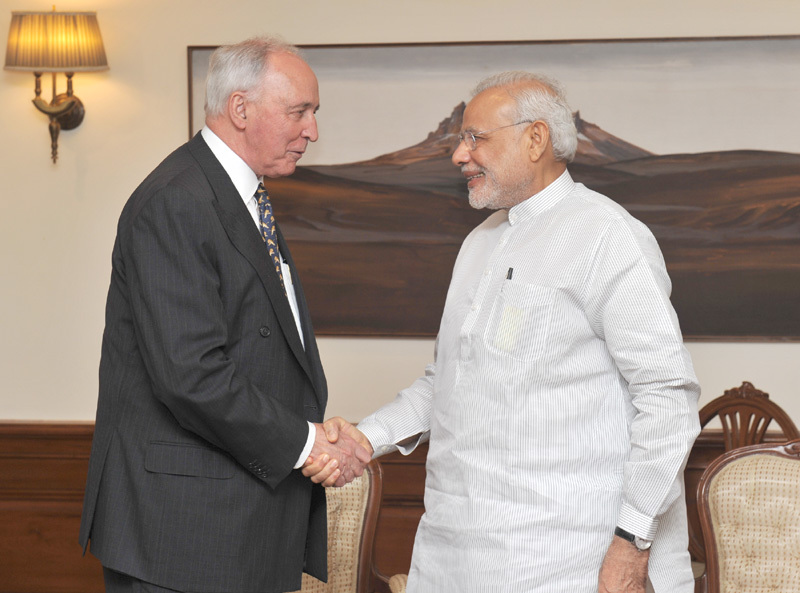 The former Australian Prime Minister, Mr. Paul Keating meeting the Prime Minister, Shri Narendra Modi, in New Delhi on June 23, 2015. 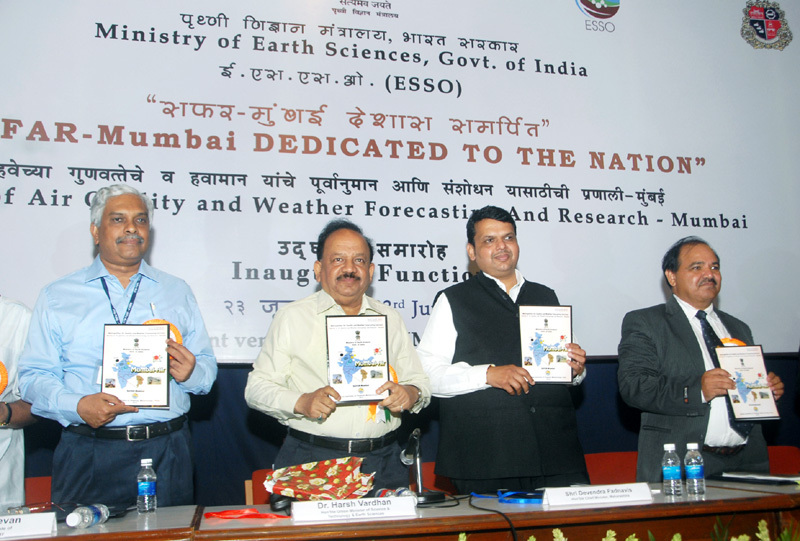 The Union Minister for Science & Technology and Earth Sciences, Dr. Harsh Vardhan releasing a book on Mumbai Air, at the dedication ceremony of the ‘SAFAR – MUMBAI’ (system of Air quality & Weather Forecasting and Research) to the Nation, in Mumbai on June 23, 2015. The Chief Minister of Maharashtra, Shri Devendra Fadnavis is also seen. The Union Minister for Social Justice and Empowerment, Shri Thaawar Chand Gehlot felicitating the CMD, HUDCO, Dr. M. Ravi Kanth for contributed their CSR funds for the Schemes for Welfare of the target group of NSKFDC, at the inauguration of the Workshop “Swachh, Swasth & Samruddh Bharat ki Aur”, in New Delhi on June 24, 2015. 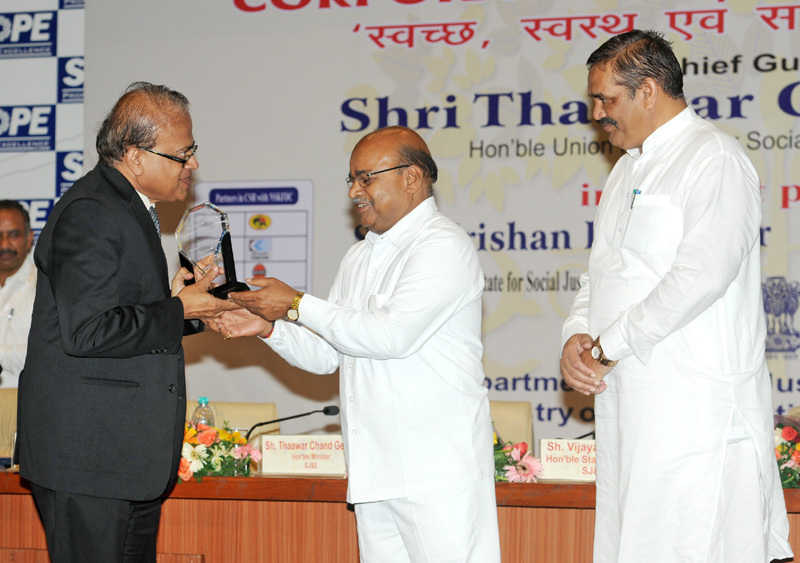 The Union Minister for Social Justice and Empowerment, Shri Thaawar Chand Gehlot felicitating the CMD, India Infrastructure Finance Company Ltd., Shri S.B. 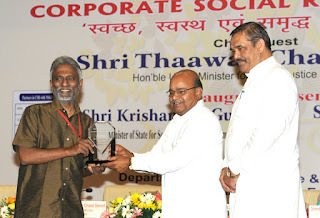 Nayar for contributed their CSR funds for the Schemes for Welfare of the target group of NSKFDC, at the inauguration of the Workshop “Swachh, Swasth & Samruddh Bharat ki Aur”, in New Delhi on June 24, 2015. The Minister of State for Social Justice & Empowerment, Shri Vijay Sampla is also seen. The Union Minister for Health and Family Welfare, Shri J.P. Nadda chairing the 23rd meeting of the Central Supervisory Board (CSB) under PC & PNDT Act, 1994, in New Delhi on June 24, 2015. 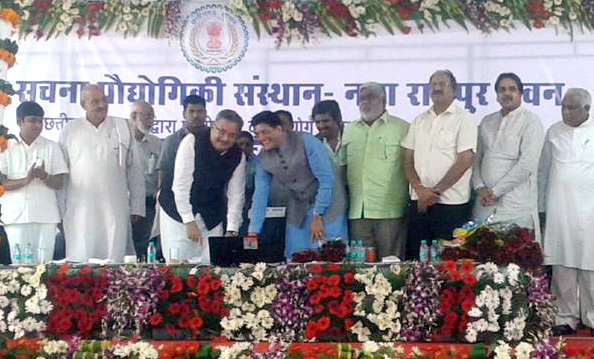 The Secretary, Ministry of Health and Family Welfare, Shri B. P. Sharma and other dignitaries are also seen. 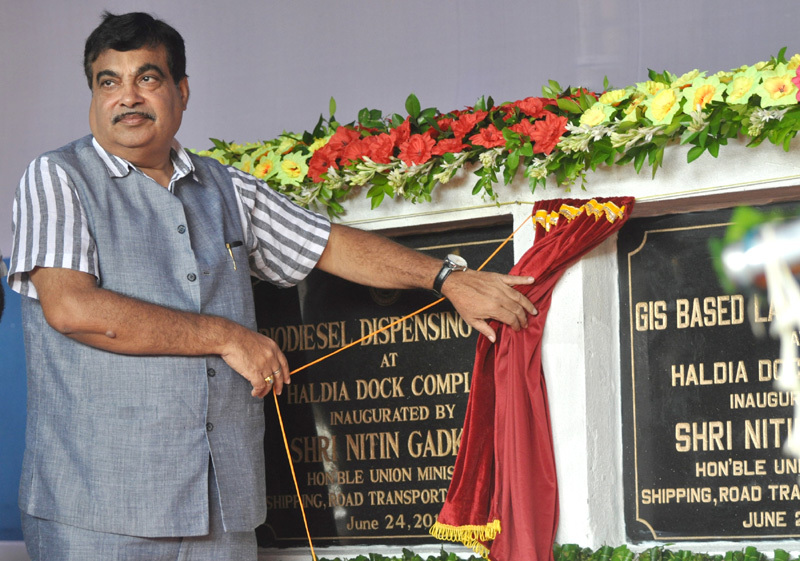 The Union Minister for Road Transport & Highways and Shipping, Shri Nitin Gadkari unveiling the plaque to inaugurate the Bio-diesel Dispensing Unit, at Haldia Dock Complex, West Bengal on June 24, 2015. 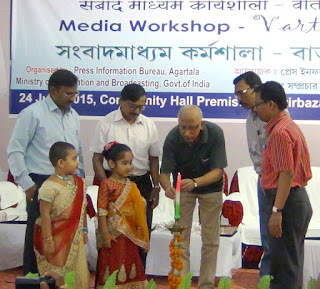 The eminent Journalist from South Tripura, Shri Subrata Deb inaugurating the ‘Vartalap’, organised by PIB, Agartala, at Santirbazar, South Tripura District on June 24, 2015. The Director (M&C) PIB, Kolkata and Head of Eastern Region, Dr. H.R. 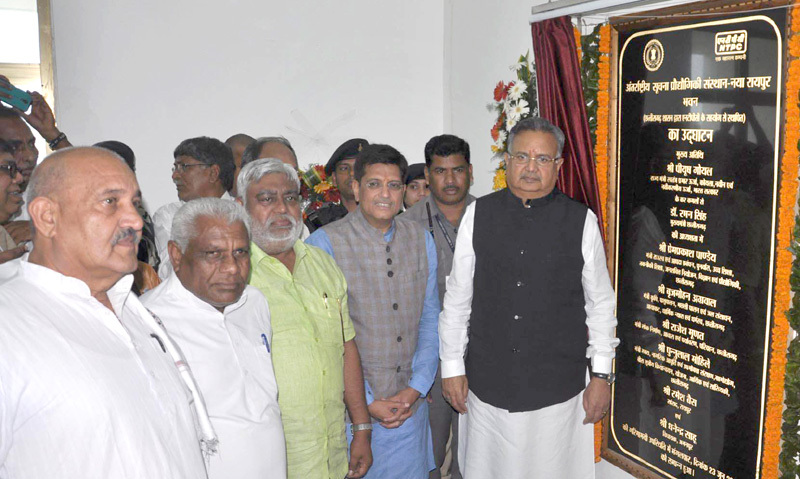 Keshavmurthy and the SDM, Shri Uttam Mondal are also seen. The Union Minister for Women and Child Development, Smt. 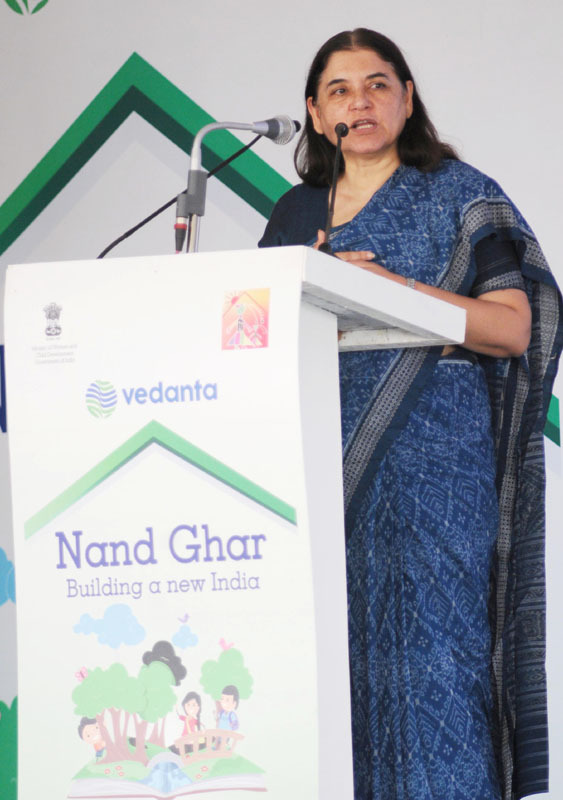 Maneka Sanjay Gandhi inaugurated the first ever modern Anganwadi Centre 'Nand Ghar' in PPP Model, at Sonipat, in Haryana on June 24, 2015. The Women & Child Development Minister of Haryana, Smt. Kavita Jain is also seen. The Union Minister for Women and Child Development, Smt. Maneka Sanjay Gandhi addressing the gathering after inaugurating the first ever modern Anganwadi Centre 'Nand Ghar' in PPP Model, at Sonipat, in Haryana on June 24, 2015.